Can you believe it’s only 16 days until Halloween? Maybe it’s the continued 80-degree Los Angeles heat and the lack of fall foliage, but I sure can’t. Of course, if we’re this close to Halloween, then you know what else is coming even sooner: Coffin Hop! Starting October 24th and running the whole week leading up to Halloween, you’ll be able to “hop” between all of the participating blogs, which will be dedicating their posts to the holiday. 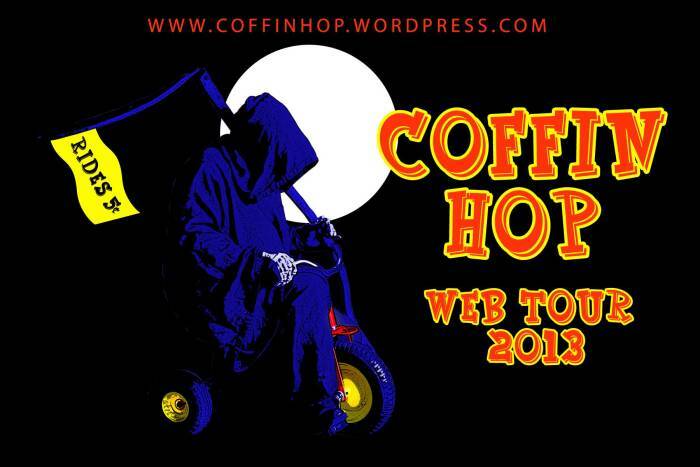 You can find the master list for 2013 and other info at the official Coffin Hop website. Some other things you’ll find at that site: a link to the official online store, which has shirts, shot glasses, hats, and other Coffin Hop themed goodies. 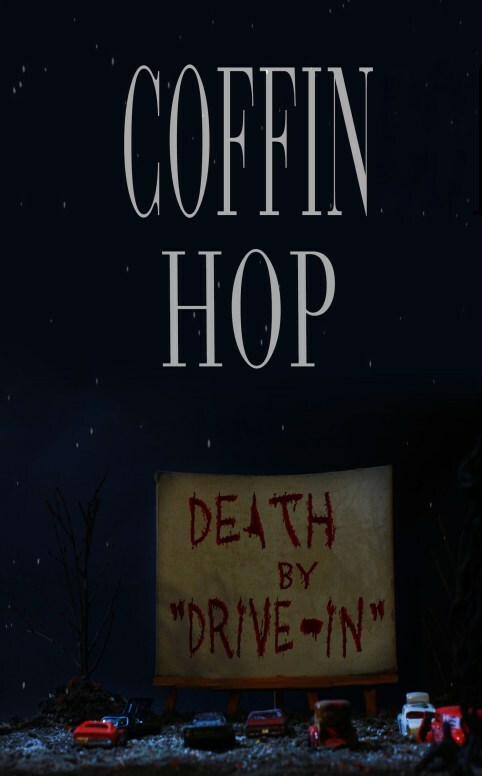 You’ll also find info on the forthcoming Coffin Hop anthology: Death By Drive-In. Inspired by B-movies, this monster-filled antho is going to be brimming with originality, hilarity, and some good old-fashioned scares from the likes of C.W. LaSart (Ad Nauseum), Red Tash (Troll or Derby), and other Coffin Hop veterans—including me! Death By Drive-In will include such delights as: Brains from Space! Robot Squids Gone Wild! Radioactive Microwave Men! Monster Mash Massacres! Crotch Tentacles! Pinterest-loving Werewolves! Cannibal Bikers! Vampire Seduction! Man-eating Toilet! (One of these describes my story. You’ll have to read the anthology to find out which one). Stay tuned to find out how to win a copy of the antho, as well as other prizes I’ll be revealing when I unveil my own contest on October 24th. Last year, I admit I slacked off a little: but this year I’m going all out. Check back often, because I will be posting something every day of the Coffin Hop. I’ll also be checking out everyone else’s posts daily and linking to one that I particularly enjoyed each day of the hop. Want more Halloween in your life prior to Coffin Hop week? Take a look at my 2011 Halloween Countdown, an epic list containing everything you need to do to prepare yourselves for Halloween. I’m going to make sure that this year’s Coffin Hop is bigger, better, and more Halloweentastic than ever. Get ready, folks: it’s on. I cannot wait for Coffin Hop to begin. It’s a fun way to spend the days leading up to Halloween!